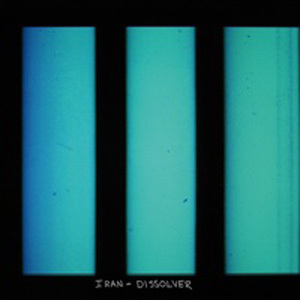 Iran – Dissolver | NoCoda. What It Sounds Like: Brooklyn’s Iran trades in a majority of their experimental noise routines in favor of a more 70s guitar driven, clean-cut, mainstream record. I was new to Iran when this record came out, so I wasn’t in a position to cry foul to their change in sound. Whoever the naysayers are, I’d be poised to really dig into what their problem is with tracks like Where I’m Going, that build slowly and end in a blusey mid-tempo piano and guitar swirl of haze. What’s not to love? Their first two records (Iran and The Moon Boys) may have their time and place, but overall, the samples that I have heard were too distorted and floppy to hold my attention for long. Dissolver may not be perfect, but it’s unique and melodic enough to hit that middle ground that pairs pop soundscapes with hidden, unconventional song structures. I was drawn to Iran by the same siren that many others probably fell pray to as well: TV On The Radio’s Kyp Malone provides some vocals and guitar, while Dave Sitek handled the production. This isn’t to say it’s a clone of Return To Cookie Mountain or anything like that, but you’d have to stick your head under a rock do deny that these guys had a little bit to do with bringing this band out into the sunlight. Can I Feel What may start out kind of ominous, and if it would have been on The Moon Boys, it may have continued that way. On Dissolver, it evolves into something that almost sounds hopeful. It’s easy to push the noise aside and bring a little to much ease into your record, however. Buddy is catchy, sure, but sounds phoned in. It’s at least followed up by the breezy/left-field I Already Know You’re Wrong, and the seven-minute record highlight Airport ’79, a trip down a desolate dirt road only to find a band of ghost-like folks musicians jamming on in the afterlife. It’s not for the everyday listen, and it’s not that it breaks any huge boundaries, but Dissolver feels slightly fresh and guided in a sea of countless noise-rock outfits trying to change up their routine.